(Nanowerk Spotlight) It has proven difficult to directly manufacture functional nanostructures and nanodevices with predetermined designs using bottom-up processes alone. So far, developing top-down machining techniques capable of fabricating structural/functional nanostructures and nanodevices appears to be indispensable, but mechanical machining tools with nanometer precision are still lacking. A grand challenge in nanotechnology is to machine three-dimensional (3D) nanostructures in a controllable and reproducible fashion. That begs the question if traditional top-down mechanical machining can also be realized at the nanoscale. 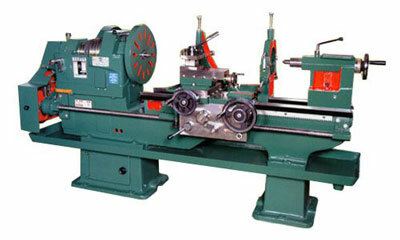 For example, a lathe is a widely used traditional machine tool. Lathes are employed in woodturning, metalworking, metal spinning, and glass working and operate by spinning a block of material to perform various operations such as cutting, sanding, knurling, drilling, or deformation with tools that are applied to the work piece. So far, the conventional wisdom has been that traditional top-down mechanical machining like cutting and milling using a lathe is impossible at the nanoscale. Nanotechnologists considered most of the traditional top-down approaches as not applicable for fabricating nanostructure and nanodevices. However, as it turns out, there still is room at the bottom for traditional mechanical machining. "The question has long been 'can we design a nanodevice using the CAD software and then realize it using the traditional top-down approach like what we normally do at the macroscale using a lathe?'" Xiangdao Li tells Nanowerk. "This has been a dream for nanoscientists and nanotechnology engineers for years. We integrated a closed-loop nanoscale precision-stage with an atomic force microscope (AFM) to make the dream come true. This work fully embodies the true spirit of traditional mechanical machining; we have realized it at the nanoscale." The work by a group from Harbin Institute of Technology in China, led by Professor Shen Dong, and Professor Xiaodong Li, who heads the Nanostructures and Reliability Laboratory at the University of South Carolina, opens up unprecedented opportunities for fabricating active nanostructures and nanodevices as well as the corresponding fundamental studies. The team mechanically machined 3D nanostructures with complex geometry on an aluminum surface according to predetermined designs in a controllable and reproducible fashion using a combined AFM/precision-stage system. "This is a groundbreaking new study" says Dong. "Our work has not only practical but also theoretical significance." In essence, the new findings show that traditional mechanical machining or top-down approach can be realized at the nanoscale – which has long been thought impossible. Reporting their findings in a recent edition of Small ("Top-Down Nanomechanical Machining of Three-Dimensional Nanostructures by Atomic Force Microscopy") the scientists developed not only the technique but also the new nanoscale mechanical machining theories. Li explains the advantages of AFM that make it highly promising for nanomechanical machining: "1) it is simple, can be carried out under ambient conditions, and does not require sophisticated machinery; 2) AFM is capable of high-resolution real-space imaging; 3) AFM is able to manipulate individual nanoscale building blocks and thus allow for device integration; and 4) AFM can enable nanoscale mechanical machining with feature sizes at or below the 1 nm level." However, atomic force microscopes were originally designed for imaging, not for mechanical machining, with range and resolution limitations in its three axes. The Chinese/US team therefore integrated a closed-loop nanoscale precision-stage with an AFM to overcome the obstacles to 3D mechanical machining at the nanometer scale. To demonstrate the capabilities of their device, they mechanically machined a three-dimensional human face with a frame size of 20 µm x 20µm and a peak-valley height of 120nm. The machining – i.e. material-removal – mechanisms by an AFM tip works like this: When the AFM tip is in contact with the sample surface at a small normal/contact load, the sample surface beneath the AFM tip deforms elastically and the Hertz contact theory can be used to analyze such contact stress. Once the contact load is increased to the yield stress of the sample material, plastic deformation occurs beneath the AFM tip. Then the AFM tip scratches the sample surface along a given direction and a groove forms accordingly. By controlling the normal load, the machining depth, and the attack angle, a controlled machining process can be performed. The team around Dong and Li has proposed three possible material-removal modes, namely, ploughing, wedge formation, and cutting. Experimenting with their device, they have already fabricated 3D nanostructures on metals, polymers and semiconductors. "We have found our AFM nanomachining to be a robust and high throughput process" says Li. "We are confident it will find more applications in fabricating nanostructures with complex geometries which cannot be realized using today's bottom-up processes, at low cost and with high accuracy. This and similar nanomechanical machining techniques should find more applications in manufacturing nanolens arrays, nanograting, nanomolds, or other nano components with complex 3D geometry." At the moment the team is trying to realize high-volume batch processing by using multiple AFM probes. Another approach they are pursuing is to use nanomachined 3D nanostructures as molds, which then in turn achieve mass production of identical nanostructures by nanoimprint techniques. The team also plans to combine the top-down approach with the bottom-up approach to fabricate new active nanostructures and nanodevices that cannot be realized by either the top-down or bottom-up alone. For instance, they plan to grow nanowires on such fabricated 3D nanostructures. "There are many challenges down the road for nanomechanical machining, for instance, nanoscale materials removal theories for different materials need to be established," says Li. "We believe that this is a fresh and exciting field that holds great promise."